Back in 2007, I had posted a lecture by Ken Ham - the creationist behind the ridiculous Creation Museum. At the time, the Creation Museum was about to open and I thought that there is no way that people will fall for this crap, especially after listening to the stuff that he says in his lectures. To give you some perspective, even Harun Yahya looks smarter when compared to Ken Ham. The theme park was conceived by the same Christian ministry that built the Creation Museum in Petersburg, Ky., where dioramas designed to debunk evolution show humans and dinosaurs coexisting peacefully on an earth created by God in six days. The ministry, Answers in Genesis, believes that the earth is only 6,000 years old — a controversial assertion even among many Bible-believing Christians. Although the Creation Museum has been a target of ridicule by some, it has drawn 1.2 million visitors in its first three years — proving that there is a sizable paying audience for entertainment rooted in a literal interpretation of the Bible. 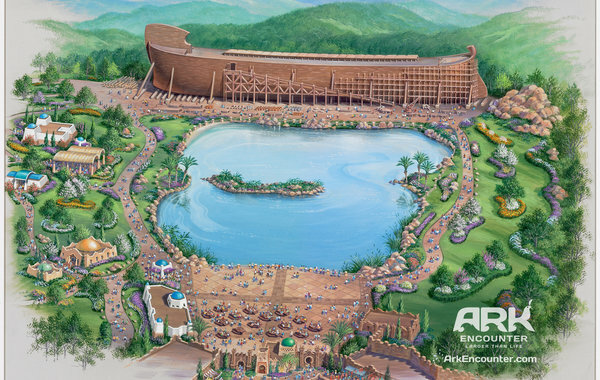 The developers of Ark Encounter, who have incorporated as a profit-making company, say they expect to spend $150 million, employ 900 people and attract 1.6 million visitors from around the world in the first year. With the Creation Museum only 45 miles away, they envision a Christian tourism corridor that would draw busloads from churches and Christian schools for two- and three-day visits. Read the full story here. I'm actually unclear on how to counter such ideas. If people believe in a 6000 year old, then evidence is definitely not going to play a big role in convincing them otherwise. Depressing. But a thank you is in order. Thanks to Answers in Genesis - the group behind the Creation Museum, Muslim creationists cannot be considered the bottom of the barrel. So thank you Ken Ham for taking reason and logic to an all time low! I was wondering what the thank you was about...until I read the last paragraph. I wonder if there would be tax breaks if a company wanted to build a replica of Mohammad's cave? 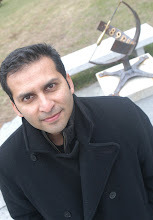 "I wonder if there would be tax breaks if a company wanted to build a replica of Mohammad's cave?" This state support for the ark theme park is just sooooo out there. 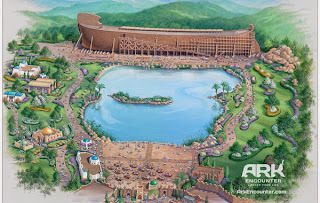 There is a good CNN blogpost on the lack of outrage from congress on this ark park (hey - this almost rhymes).